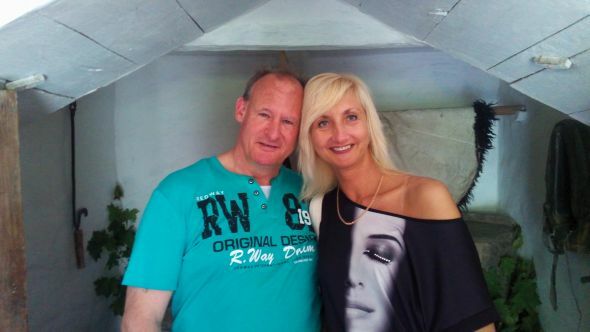 In this story, Svetlana and Martin tell how they successfully met each other through the website and agency of Dating Women Ukraine. They describe how it all went from the first moment they saw each other on the website in April 2015, till the moment they met each other in Kiev late May 2015. How was your first meeting with Martin? The meeting was very good, I even did not expect that it would be so easy, because I have an intermediate level of English. But he was patient, and he helped me. I was so glad. How was the road to the first meeting? We corresponded online and we chat during two weeks through the website of Dating Women Ukraine. And I spoke with him via skype. Then, Martin decided to come to me. What were your previous experiences with dating abroad and how are they now? I did not have any previous experiences. Right now I have a little. I communicate only with Martin. What are your impressions of the first meeting with Martin? I found a good man. I hope I am not mistaken. What was it like to meet him for the first time? We spent together fantastic 11 days. We visited museums, restaurants; we were walking around the city. Everything was very great. He is а kind-hearted, cheerful, understandable and caring man. He has everything what a woman needs. How will it continue? Have you made plans? We do not have any plans yet. We discuss them with each other. We had both bad experience twice in our lives, that is why we do not want to be in a hurry. Where it will lead to, we still do not know right now, but everything is good now. What are your experiences with Dating Women Ukraine? I did not have any experience before. 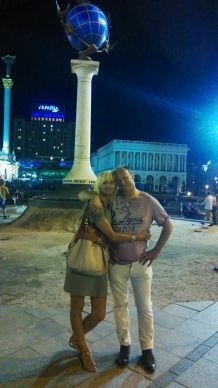 It was thanks to Nina of Dating Women Ukraine, who phoned me to advise me their service. If I will be together with Martin, it means Nina brought to us love and happiness, to two old hearts which were broken in life, but finally found love. What has the agency done for you? The agency gave to me a man - Martin. I had no experience. Fact is though that I have visited a number of sites of which I had the impression that they want to earn money purely from a commercially aspect, without actually wanting to match people and or to give assistance in this. Reliable site, where participants are pre-screened, where they use various service resources and support in order to match people together. And after it is up to the participants themselves, how they want to proceed. What means Dating Women Ukraine to you? Giving advice, answering questions, possible to use various means (chat) among others. And supervise so that everything can proceed as expected and desired. Willing to accompany and to make it available. How are those experiences now? On that basis, they are good now and positive. How did it go prior to the meeting with Svetlana? When visiting the site, my eye felt on her pictures and her profile was appealing to me, whereupon I very gently sent her my interest, simultaneously with the request to view my profile. The result then was that in her turn, she also sent her interest to me, the first contact was made. Through the sent messages, we got acquainted with each other. And strange as it may sound, there was immediately a match. The next step was to chat face to face. And the match that was already there, became therefore stronger and nourishes it, weeks long, night after night, hours long we extensively chatted with each other. We had meanwhile a pretty good understanding of each other, and it just felt right. And we both wanted more. After that we shared each other's personal information, and we continued it in that way. How did it came to the first meeting in real life? After many hours of chatting, we wanted a personal meeting, whereupon we set a date and I booked the trip and apartment and visited her in Ukraine. At the airport she was waiting for me. 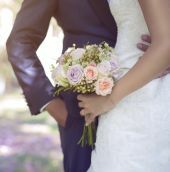 When we saw each other it was immediately love at first sight, a spontaneous kiss and welcome confirmed that and that feeling was mutual, whereupon we continued our way to the apartment. For both of us it turned out well and it lived up to our expectations. Therefore, we have spent all days with each other. Have you been in Ukraine before? What is your first impression of the country and the city of Kiev? Beautiful country, busy city, very hospitable welcome and friendly. It’s worth repeating. Also now because of my relationship with Svetlana. But the sake of completeness, given my international experience it was not so difficult for me to take that step. Cultural difference, how big or small is therefore not an issue for me, the food, customs, etc. I adapt quickly to it. And finally, it is also affordable. What was your first impression when you saw her? As I already told you .... love at first sight, in real life she was even more beautiful and prettier than I had imagined. Also the way I was welcomed gave me that mutual feeling, which she also confirmed later. The love and the feeling was already there. What were your first experiences with Svetlana? If you spend almost two weeks together in one apartment, then you have a good impression of each other and you get to know each other a bit, added that we extensive and for a long time chatted with each other beforehand. But yet the reality could also turn out differently. 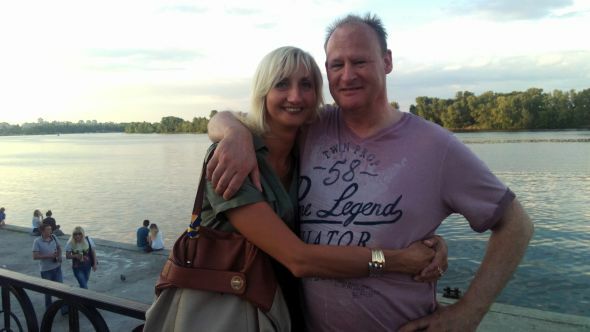 For us it met to our expectations, we have made great trips, we went out eating, drinking and walking. And spent time in a relaxed atmosphere with each other, from which eventually something beautiful came out; our feelings and love for each other. Genuine and sincere. Although Svetlana didn’t master her English language so well, we saved ourselves through the App and computer, even though it is a concern to learn the language, but it has not prevented us from taking this step, and it just worked out well. After two weeks, it was pretty hard to say goodbye to each other, although we both realized that it would not be for a long time. At home we continued our contact through the chat, and we intend and plan to continue with each other, which requires time and especially patience and trust to each other, but the love, the desires and feelings for each other determines the future. Svetlana is currently busy to make her travel documents in order, so that she can come to the Netherlands at the end of July for three weeks. Where I may welcome her in my domestic circle. What we will do next, I do not know, I cannot look into the future and I keep in mind that it can go in any direction, but we have both spoken out the desire that this just might be something beautiful and lasting, our relationship will continue to develop, we will get closer to each other and our love will surely grow. I will definitely visit her once again in Ukraine, until the moment comes to take concrete steps and subsequently want to build a future with each other in the Netherlands. We will see it coming, one thing is certain for me, she is my ideal woman, and it's incredible that I've met her through this way. I'm Just crazy in love with her.